The unknown unknowns. These are the things which can bite us as pilots. We see our task at AvPlan EFB to be a key enabler to reduce these unknown unknowns wherever possible. For example, take the Active Airspace Overlay in AvPlan EFB. Here we highlight as red any airspace which is currently known to be active, based on NOTAMs and published active times. If it is active, it is red, and if it is deactive then it is clear. But what about if your EFB doesn’t know? Maybe the internet connectivity wasn’t the best so it hasn’t updated its knowledge of the status recently? Thats why we highlight airspace when we don’t have current information as grey. This is a visual prompt that your EFB isn’t as up to date and you need to check via alternate means the status of airspace. Additionally, the PRD Airspace option under Planning will also show the status of airspace for your proposed route and show it as active, deactive or unknown. Lastly, the Airspace notifications (enable under Settings, User Settings) will also notify if you are about to, or enter, PRD airspace and if the airspace is active, deactive or unknown. Why is this important? A recent report from ATC at Amberley RAAF base on airspace infringements noted a number of cases where a VCA was caused by a pilot thinking airspace was not active when their EFB was showing the airspace as ‘clear’. 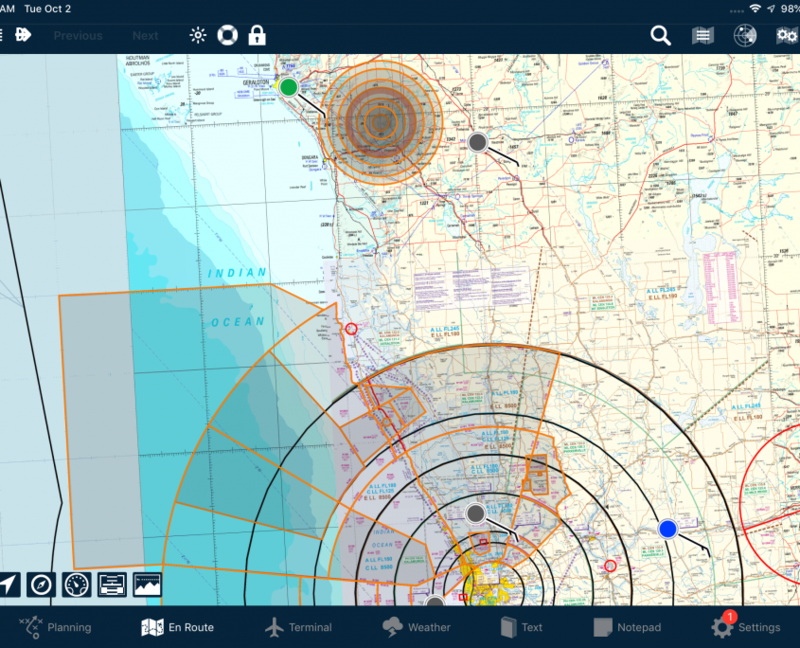 Yet another reason you should plan, brief, file and fly with AvPlan EFB.